From Shakespeare to Tolkien or Jane Austen to J. K. Rowling, adaptations have accounted for huge critical and commercial successes and they certainly haven’t been ignored at the Academy Awards. 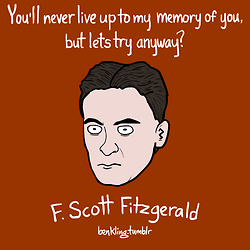 We all know the past Best Picture Winners like, “Gone With the Wind”, “Hamlet”, “One Flew Over the Cuckoo’s Nest” and “Lord of the Rings” are the film versions of great pieces of literature. 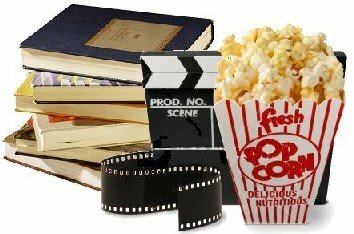 But after doing some investigation I found that there have been a lot of Best Picture winning films that I had no idea were based on books. 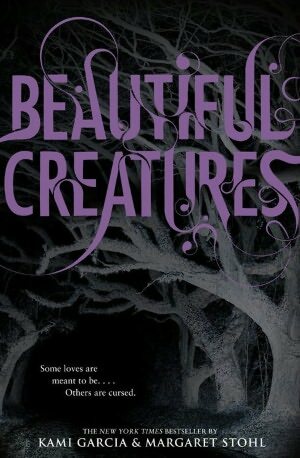 I am currently working my way through the Beautiful Creatures series. Apparently so are a lot of other people (the book is # 1 on the NYT Children’s Series list). It is for these reasons, that it is not surprising that I was excited to see the first film this week and very surprising that so far it hasn’t been more popular. Although I am really enjoying the books (as you can see in my book review) they are too long, too complicated, and nonlinear in a way that I thought would make them hard to film. At the same time, I was very interested to see how they would distill the complications into a coherent narrative, especially the endings which many people found confusing. Thomas Jefferson: Best house and a true renaissance man. If he was a painting he would be the Mona Lisa. We read “Beautiful Creatures” by Kami Garcia and Margaret Stohl for the blog last week, I just saw the movie (side by side reviews coming this weekend) and I’m quickly working my way through the sequels. Like any good young adult romance, the young men in the novels have been on my mind – even though that is beginning to feel creepy since they are like eight years younger than me. In this world of southern manners, dark magic, and good intentions who would you marry, date, or dump? Let me know in the comments! Even though I haven’t had a romantic type valentine since kindergarten (which everyone knows doesn’t count and included copious amounts of chocolate which is my least favorite thing to eat of all time) I kind of love Valentines Day. I think it is great to have a day that is about letting the people you love know that you appreciate them being in your life. In order to combat the extreme Valentines Day hatred that seems to have permeated the internet this week, I am going to be adding to this list throughout the day for some fun ways to celebrate that don’t involve Bachelor-like fantasy dates or public declarations of love. If you have any ideas please post in the comments! Thanks and Happy V Day! We have read three books about witches for the blog. I think that I’ve liked them all, but Beautiful Creatures by Kami Garcia and Margaret Stohl has definitely been my favorite (even though they are pretty pointedly called casters not witches). The novel is told from sixteen-year-old southerner Ethan’s perspective. Ethan has lived in Gatlin, South Carolina his entire life. Despite having a recently deceased academic mother, voodoo practicing and tarot card reading housekeeper and reclusive father, Ethan seems to have fit in to a certain extent – he is a star basketball player and is accepted by his peers as “one of them.” A large part of this is that his family is ensconced in Gatlin history, with roots that go back beyond the Civil War or as they call it in Gatlin “War of Northern Aggression”. As a commuter, I have reluctantly fallen in love with audio books. There is something that is wonderful about being read out loud to by people who are so good at reading aloud that they get paid to do it. In fact, some of my favorite books I’ve “read” in the last year have been audio books.